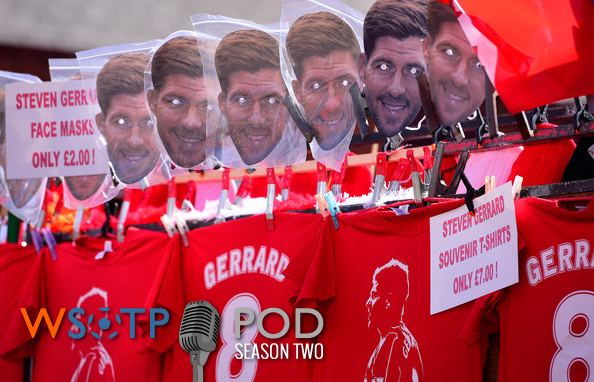 With no side relegated during the next to last round of the season in the Premier League, that means the race for the final drop spot remains a big talking point on this week’s #Pondcast. Listen in as D.J. and Jeremy go through the scenarios each of Hull, Sunderland and Newcastle need to stave off, as well as wax poetic on Steven Gerrard’s last game at Anfield. Also on this week’s episode are reflections on USL’s return to Cincinnati — from not only ourselves, but also listeners too — a look back at the second legs of the Champions League semifinals, and off the field issues overshadowing much needed wins for two MLS sides, and much more. ALSO A FAVOR TO ASK: On next week’s podcast, the guys will be eulogizing their respective clubs’ seasons… and we want to hear your eulogies for your own clubs! Just as with any questions or topics you want us to cover next week, shoot your’s to contact[at]wrongsideofthepond[dot]com or hit us up on social media via links at the bottom of the page. And of course, don’t forget to subscribe below to automatically receive new episodes on your favorite mobile device.